Our national conference ‘Gender Respect – Youth Effect’ was a great opportunity to network with liked minded, passionate people who work with young people to give them a voice and help them to understand their right to respect, regardless of gender. The wealth of experience and the variety of professionals present enabled thought-provoking and stimulating discussions. 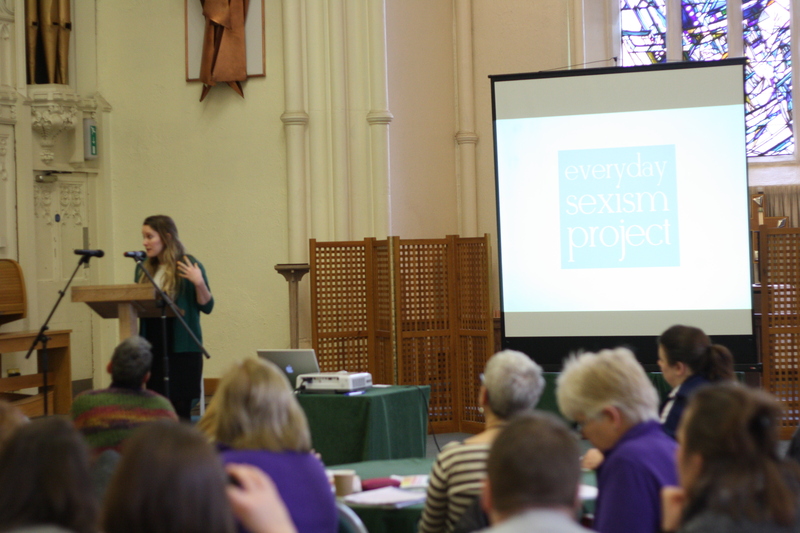 The day commenced with the inspirational and passionate feminist writer, Laura Bates. She is author of ‘Everyday Sexism’ and founder of ‘the everyday sexism project.’ The project promotes gender equality and is a place for people to record stories of sexism that occur on a daily basis. Laura spoke about how people can be complacent, and just accept that this is the way things are. She goes into schools and delivers talks to encourage people to speak out when they have been treated unfairly. Laura’s talk was shocking at times and contained statistics that were depressing, but she ended on a positive note, talking about how things are changing and people are feeling more able to speak out against inequality. Sexual Harassment and Masculinities – Interactive & practical ideas – how to facilitate discussions about these issues, encourage empathy, and enable safe, appropriate interventions. Challenging gender stereotypes – Practical ideas for lessons which develop critical and creative thinking and enable primary-aged pupils to make real choices in areas such as sport and careers. ‘Doing Gender’ – How young children develop ‘masculinities’ and ‘femininities’ and how we can provide an EYFS environment that promotes gender equality. This workshop will give participants an opportunity to discuss the theory around how children develop gender identities and reflect on practical approaches across the EYFS curriculum. Period Positive Schools – A fun, informative and interactive workshop sharing results results and resources from Chella’s research on how to include all ages and genders in menstruation education. 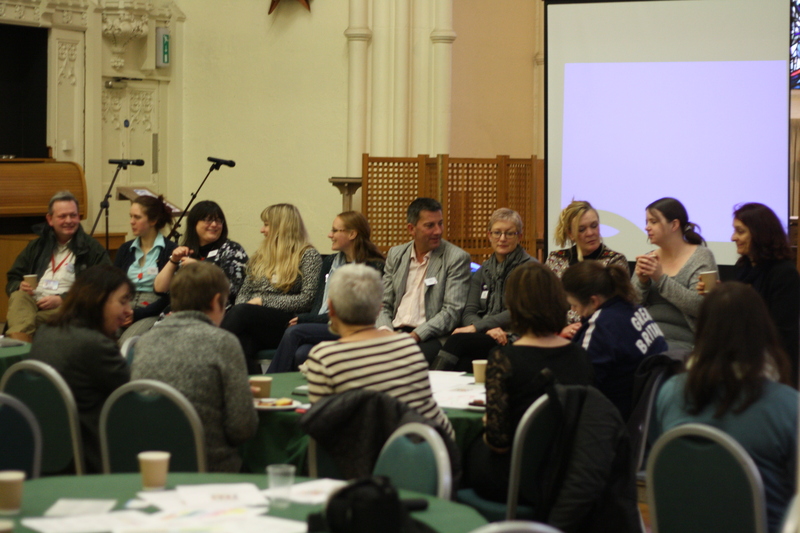 These workshops were well received by all and involved lots of thought-provoking discussions. Where do we go from here? – An opportunity to explore the YWAVE research findings and develop ideas and pledges from services/professionals/communities. A discussion around the legacy of the AVA project in Sheffield. In My Shoes – Interactive session exploring young people’s experiences and perspectives when engaging with multiple services and professionals in relation to domestic abuse. Participation and Empowerment – A look at models for working with young people. Opportunity to critically think about our practice with young people, examine the benefits and learn new strategies that can be incorporated into our work. 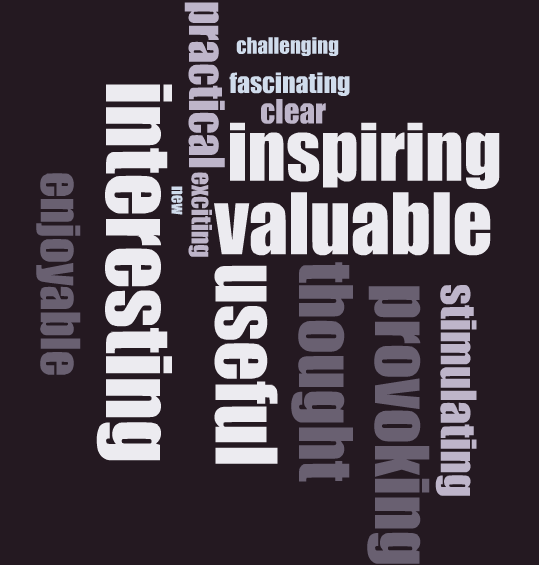 How did people describe the conference? Categories: News | Tags: conference, Equality, Gender Violence, Participation | Permalink. 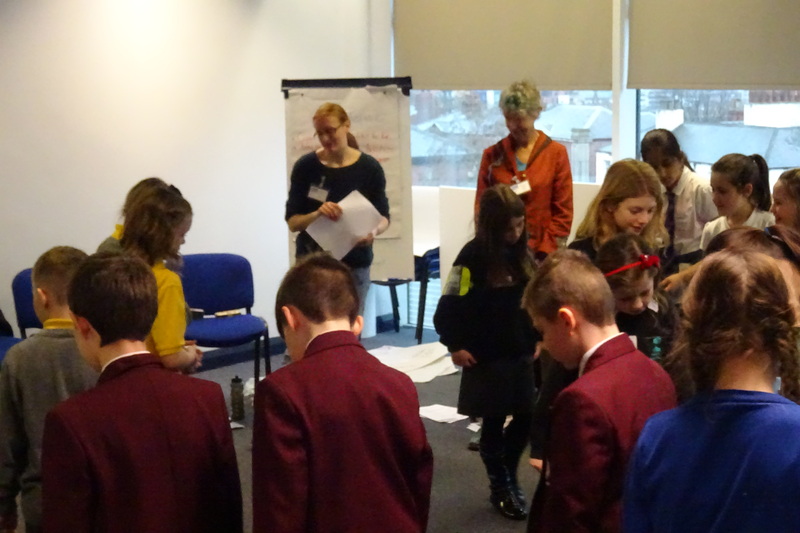 We were delighted to welcome 2 primary and 2 secondary schools to our Gender Respect Pupil Conference. The day started with introductions and some drama games. The first involved walking around the room ignoring one another, showing no respect to anyone. Gradually, the pupils were encouraged to show more and more respect to one another, ending in high fives and friendly hellos. The other game they enjoyed was acting out different careers, sports and household chores. One person stood in the centre e.g. doing the ironing, and someone asked them what they were doing, They responded by choosing a different action e.g. I’m washing the car. 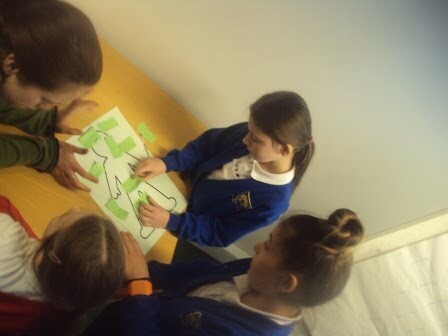 The pupils were very engaged in this activity and were especially keen on greyhound racing! What can we do in our schools? We came back together at the end of the day to share our thoughts and ideas. We were overwhelmed by the passion and enthusiasm these young people had and we’re really looking forward to hearing about how their projects are going. Categories: News | Tags: Boys, gender, Girls, Primary, Secondary, stereotypes | Permalink. In the secondary workshop pupils divided into two groups and drew life-size outlines of a male and a female. To begin with, they were asked to focus on the appearance of a ‘typical’ boy or girl, with clothes and accessories. 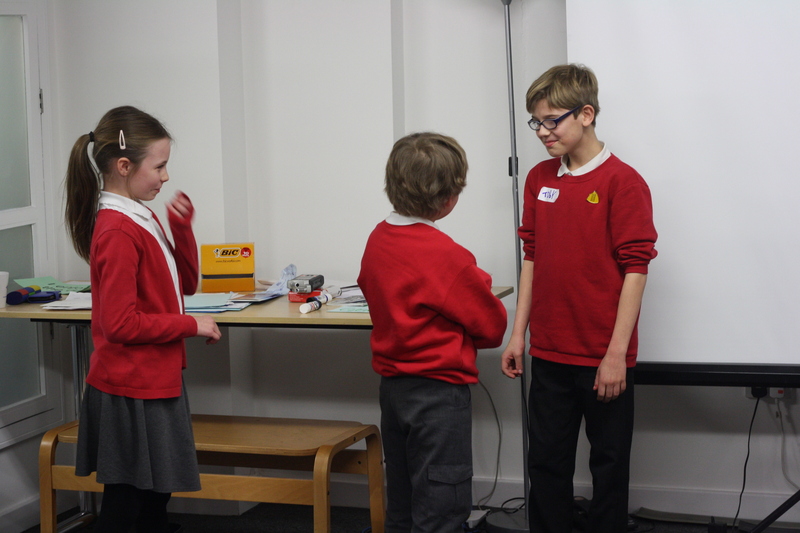 After being asked to think about what a girl or boy might say, the ‘typical’ gender jobs and what a ‘typical’ boy or girl might think, the pupils began to think deeply about how these stereotypes might affect the way someone views themselves. They were then showed a video called ‘The Man Box’, which included quite a disturbing story, to which all the children watched in a very mature and respectful way. The children were asked to write down what the video made them think and feel, which included words such as disgusted, shocked, frustrated and angry. 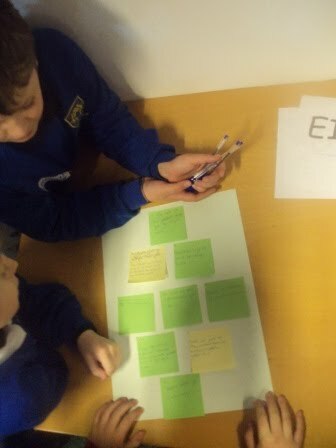 From all the things that had been discussed throughout the day, the pupils were asked to reflect on gender respect problems within their schools and how to tackle them. One group in particular wanted sexism to be treated equally to racism within schools and the rest of society. The children impressed me with their enthusiasm and passion for gender respect, as well as treating sensitive issues with maturity and regard. It was clear that this was an issue they really cared about and want to help tackle. The students said that they really enjoyed meeting other schools and learning from one another. Categories: News | Tags: Boys, gender, Girls, Participation, Secondary, stereotypes | Permalink. 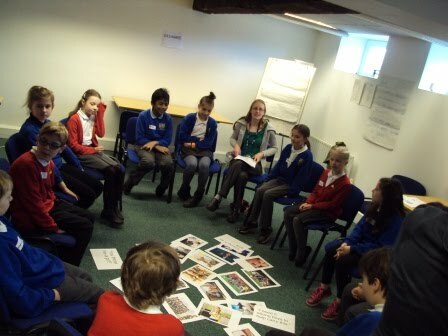 In the primary workshop, the pupils were shown a series of images and phrases showing stereotypical and non-stereotypical images of jobs, emotions and sports. They were asked to choose one that they felt interested in. We had some great discussions about women in the army, boys dancing, men and women playing football and boys crying. The phrase ‘You throw like a girl!’ proved to be an interesting one too, with one boy pointing out that this was a compliment as girls throw very well! There was an interesting gender split with the dance, with the boys saying that they would not be embarrassed to do dance. The general feeling about DIY was that some boys are good at DIY but some certainly are not! Girls: dance, being smart, people don’t judge you when you cry, you can wear trousers and skirts. Boys: Straightforward, self-confident, being smart, dance, nerd, exercise, maths. Either: long and short hair, ability to do sport, sensible, make up. They then ranked these pressures from most to least important, using a diamond 9 shape. Using these ideas, the pupils worked with their schools to create an action plan of something that they felt needed addressing in school. 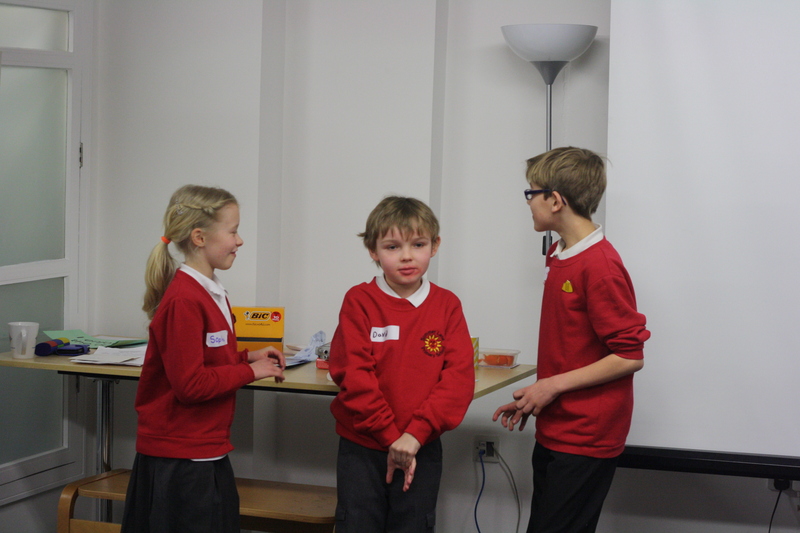 2 groups wished to create a play to act out in assembly, looking at respect for one another and challenging teasing. The 3rd group wished to organise a dance competition to encourage more boys to have a go at dance. We look forward to hearing about the success of their ideas. Categories: News | Tags: Boys, Equality, gender, Girls, Jobs, Primary, Sport, stereotypes | Permalink. 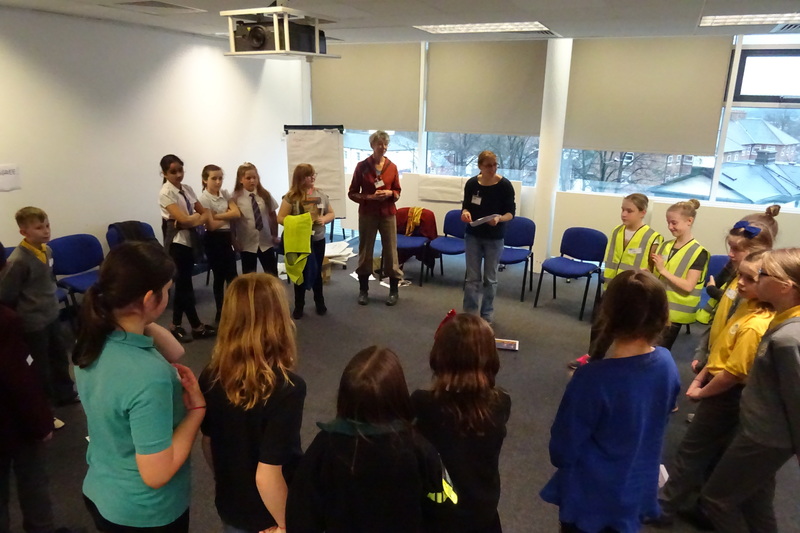 Kathryn and Heather ran a Gender Respect workshop at the CRESST conference for peer mediators on 7th January, 2016. 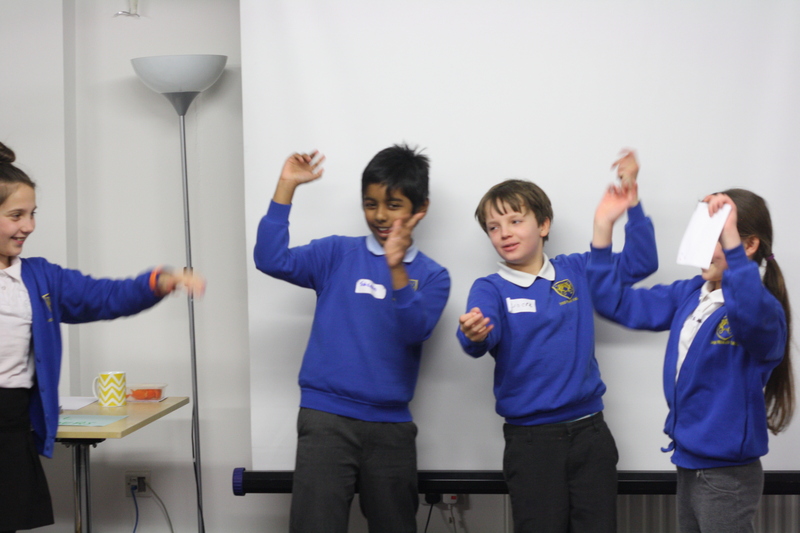 We ran the workshop 3 times with 3 different groups of children in Y5 and Y6 from 10 schools in South Yorkshire. Think as peer mediators how we can make it fairer. We used the same images of sports, careers and emotions that we had used in the scoping study as stimulus for discussions. We used continuum lines with agree and disagree about a view or attitude that emerged to generate further thought and discussion. Many girls want to play football at play time but don’t because boys are too rough. Football is a boys’ sport. Boys are tough and can be aggressive. Girls are not as good at sport. Girls can be stronger than boys and they can play football as well as boys. Some boys like dancing and are good at it. Boys can be embarrassed to be friends with a girl. Some schools had girls only football at play time. Other girls said they did not want this. They wanted to play with boys but for boys not to be so rough and obey the rules. 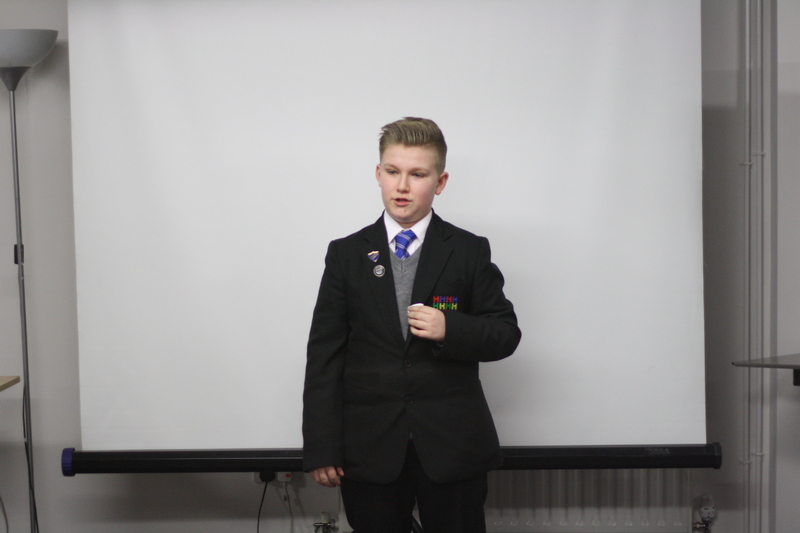 Strong views were expressed about equality, that men and women should be able to do every job. Boys and girls can do every job. It’s good to see a woman pilot and men looking after children. Usually women do childcare. They have carried the baby so they are more in touch. However, men can look after children too. Comparisons with the past. Men used to go out to work and women stayed at home. Now more women go out to work. You sometimes see women being angry, but they’ve got good reasons to be angry. They do not get equal pay and are often treated unfairly and not with respect. It’s unusual to see men cry but they all agreed that it’s acceptable for them to cry. Boys and men act really tough. If they cry, they think they’ll look weak. To make every man, woman and child get along so everyone should stop bombing and attacking people. Talk to the school in an assembly, about genders getting along with being friends and making sure you are able to do what you want to do. E.g. being able to play football if you are a girl. Play together fairly. Treat people respectfully. Practise together. 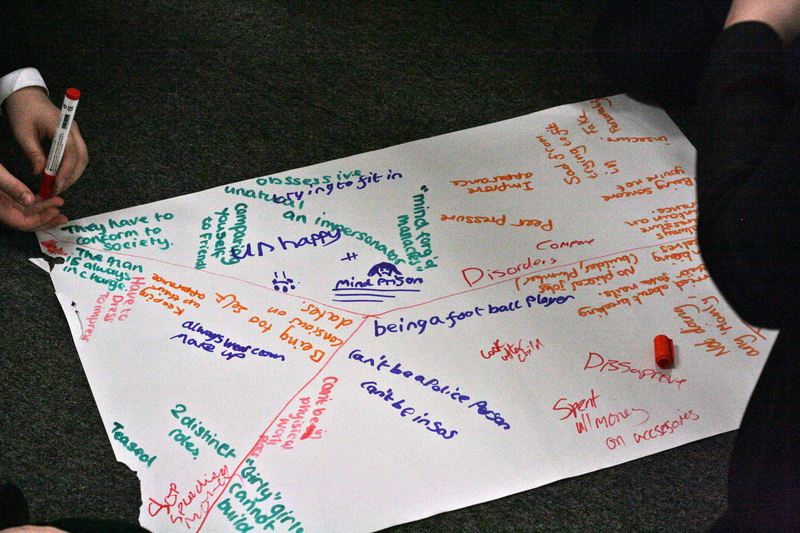 We really enjoyed the workshops and felt very encouraged by the opinions of the young people. We realised we had the benefit of being with a selected group of hand-picked 10 and 11 year olds, trained in listening and mediation. The children were forthcoming in their views and able to discuss their differences. They had strongly held views about the importance of equality – between men and women, boys and girls, black and white. This held true for occupations, emotions and relationships. We were very interested to hear that some girls and boys did not like the banter about ‘Girls are best. No! Boys are best.’ which they said was very prevalent in their schools. ‘Because we are all human beings. We want to be treated like human beings.’ However, in the everyday experience of playground football, girls expressed their reality of exclusion. This held true across all 10 schools represented. It may be boys had not heard this before and discussions like this could make a difference, especially as peer mediators are mostly engaged because of conflicts at play times. However, some boys’ view that they were more competitive than girls seemed insightful, and may reflect an underlying culture. Thoughts for the future of the Gender Respect project: We were encouraged that some children spontaneously suggested holding an assembly on gender equality. We hope their teachers will be able to support them in this. This idea may be developed at the young people’s conference later this month. All the children said they would love to come to a Gender Respect student conference if there was one in the future. Categories: News | Tags: Boys, Careers, debate, Equality, Friendship, gender, Girls, Jobs, Participation, PE, Primary, Relationships, Sport, stereotypes | Permalink.